Scent Box is a perfume subscription where you choose one fragrance per month (or you can elect to receive their fragrance of the month). They offer a variety of authentic designer scents (over 850) and they even offer free exchanges if a fragrance doesn’t work out for you. In the past, I have received an information card with details about the men’s and women’s fragrances for the month, but I did not receive any paperwork this time. In case I have not mentioned it in the past, you get a new holder every month and the fragrance is printed on a sticker on the bottom, and the holders tend to be different colors each month, so you can still keep them sorted out. I feel like I should bring this up, but this is the second month in a row that the scent of the month has been something that is not available from the manufacturer or standard beauty retailers like Sephora or Macy’s (that do carry other products from the brand). This is primarily available at places like Kohl’s, eBay, and Amazon, as well as some of the common online fragrance discounters. You can look at this one of two ways. (1) If there is something that you really like but is hard to find because it’s discontinued, you may be able to get ahold of a little bit more through Scent Box. (2) Alternatively, someone is looking to offload old stock of a product that’s no longer on the market. Anyway, let’s talk about the fragrance itself. CK One Gold is related to CK One but is a seasonal fragrance launched in September 2016 (CK One original goes back way further than that). Base notes are vetiver, guaiac wood, and patchouli. Mid notes are neroli, jasmine, and violet. Top notes are fig, bergamot, and sage. This is an odd one for me and I’m kind of ambivalent about it. It is definitely not something I would have chosen on my own (I like sandalwood/amber/musk/vanilla-type fragrances with more spice and fewer fruity/floral notes) but I probably will wear it from time to time. If anything, this one just smells kind of generic on me. I do like the sweetness of the fig; fig is one of the fruity notes I enjoy most. I’m not so into the floral aspect, to be honest, although it’s not overpowering. There is nothing that really says “gold” to me about this, but that may be a naming convention and nothing more. Also, I found out that you *can* remove the fragrance vials from the holder (last time I tried, the top of the vial popped off, but it worked this time). However, that is not particularly useful since the individual vials aren’t labeled, as the sticker on the bottom of the holder (see above) tells you what is in each one. Verdict: The estimated value of my fragrance this month is $7.79. That is quite a bit below the month-to-month cost of the subscription, but with this subscription, you can calculate the value before choosing fragrances for your queue. So if you had picked this one, you would’ve known that going in. There are a few things to keep in mind, though: (1) The value in fragrance subscriptions can be manipulated based on what fragrances you choose to fill your queue with (you can go with all super expensive ones if that’s what you want). (2) Unlike with some of the other fragrance subscriptions, you get a new case every month with Scent Box. (3) If you end up with a fragrance you don’t like, you can do up to one free exchange per month. That last point is what really sets Scent Box apart from similar services, I think. Can you still get this box if you sign up today? Yes, all you have to do is choose this fragrance. Coupon – Use this link to save 35% off your first box! Value Breakdown: This subscription is $14.95 monthly and this month, I received $7.79 worth of fragrance (but again, this is highly variable based on what scent or product you choose). 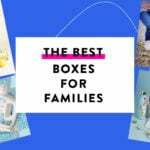 Check out other great fragrance boxes in the Perfume Subscription Box Directory. What do you think of Scent Box? How do subscribers rate Scent Box? Do you subscribe to Scent Box? Add your rating now! What’s great about these vials is you can refill them with any perfume you want. These are great for travel. You just need to label them yourself. Yes, you definitely can take out the glass vial from the atomizer. And YES, you can also unscrew the top to refill the glass vial as well. I managed to use a small knife & tweezers to take off the label underneath the atomizer. I fill the bottle with whatever fragrance I want to carry with me. I tend to choose large bottles of fragrances because it’s a better deal if the scent comes in an array of sizes or offers spray or “pour” versions which can be cheaper. I have an “eye dropper” I use or a tiny funnel. It helps tremendously to transfer a scent to any atomizers. PLEASE DO NOT SUBSCRIBE TO SCENTBIRD! Read reviews online. They are taking money and not sending products. They are sending wrong products. They will not issue refunds and customer service is pretty much nonexistent. They have an F grade on Better Business Bureau. I subscribed November 2 and they took my money and still have not sent anything! "Its beautiful. I already pre-ordered the summer box and plan on using the items to give away as gifts/prizes fo..."